NF - Closed below 5288, so now timebeing uptrend terminated. downside expect 5218 & 5192. upside resist at 5333-5338. PNB - If trade and stays below 980, slowly it come down to 950 & 890. RANBAXY - As expected it corrected from 484 to 453. Now what next ? If trade below 450-448, fall continue to 433. 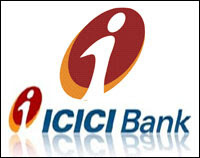 ICICIBANK - now 933 & 945 becomes resistance, downfall continue to 895-885. minor support 912-908. ARSSINFRA - If trade above 1272, going to attack 1312 & 1348 but ultimate 1396-1405. Support 1195. SARDAEN - As expected, It took support at 223 and reached the target 260 (yesterday high 268). Now what next ? If not break 263 & 270, then come down to 245 & 235. But if trade above 271 may try to attack 280 & 292.